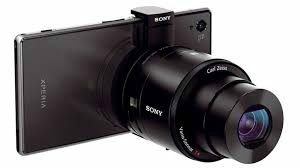 Searching for gifts for journalists this holiday season? Sure, pens, cameras and journals are always nice but why not be a bit more creative. The gifts on the list should help you get started. 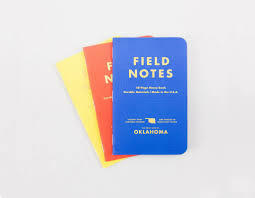 Journalists take notes, so notebooks from Field Notes long have been a hit. There’s the general reporter’s style, but also colorful variants and clandestine ones for when they need to be lost in the bag. 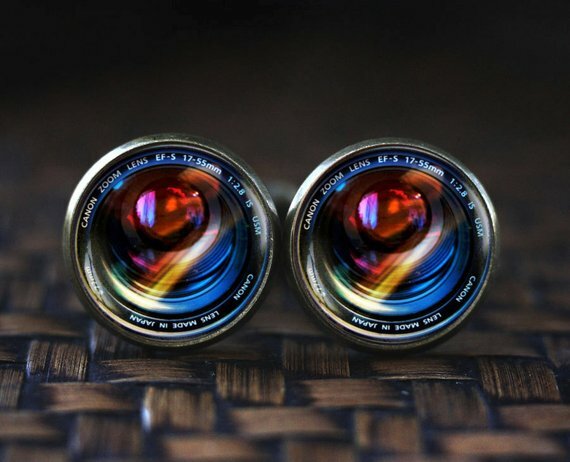 For the photojournalist who has everything, consider these camera-lens cufflinks, handmade by artist Alexander Mos, who has more than 5,500 sales on Etsy. Mos also makes a pair with semicolons, perfect for grammar nerds. Broadcast journalists on your list can rep the profession with a pair of camera and mic earrings, made with stainless steel and gold plated. Journalists are big readers and many have extensive book collections. For a bibliophile, there’s no greater frustration than losing books to others for good. The Personal Library Kit helps keep track of what’s where in a fun and old-fashioned way. If a walk in the park or a visit to the museum doesn’t cure writer’s block, there’s always wine. Ernest Hemingway claimed that he drank to make others more interesting. Steele Wines makes Writer’s Block wines – Cabernet Franc, Pinot Noir, Cabernet Sauvignon, Malbec and more. Journalists like coffee. There’s coffee that is good for the environment, “the world’s strongest coffee” for the story due in 4 hours, and mugs specifically for journalists to hold it all. “Agitate! Agitate! Agitate!” The American Writers Museum in Chicago exclusively sells a T-shirt emblazoned with advice from Frederick Douglass, abolitionist, educator and writer. The Society of Professional Journalists is selling a T-shirt that backs the First Amendment. All proceeds go to a fund that helps the Capital Gazette newsroom, where a gunman opened fire on June 28. 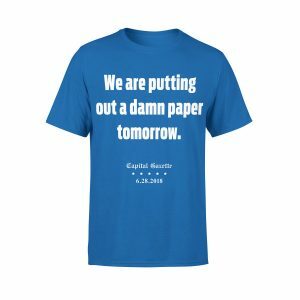 The Capital Gazette put out its own T-shirt. Hours after the shooting, staff reporter Chase Cook tweeted: “I can tell you this: We are putting out a damn paper tomorrow.” The journalists never stopped doing their jobs and published a full paper on June 29. Journalists tend to travel a ton. 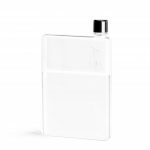 Here’s some nifty travel things we like: an amazingly slim water bottle that fits in the airplane seat pocket and the tiniest of bags, pocket snacks in a variety of flavors, clear carry-on quart bags, travel adapters and Wallpaper city guides. They say journalists are the eyes of history. A working journalist gets to witness so many things — sometimes capturing it all can be rewarding as in this personal memoir, this cool retro slideshow viewer, or even this scratch-off map. Mary Richards, the character played by Mary Tyler Moore on the eponymous show, is a role model for many. An independent, single, spunky woman in her 30s, she excelled as an associate producer at WJM-TV, the lowest-ranked news program in Minneapolis in the 1970s. A box set of the groundbreaking – and funny – show is perfect for a journalist of every generation. The bible for freelance reporters since 1921, Writer’s Market has all the answers on how to get published. The deluxe edition includes that standard book, plus a year’s subscription to WritersMarket.com. Both contain more than 7,500 listings for publishers, magazines, contests and literary agents. 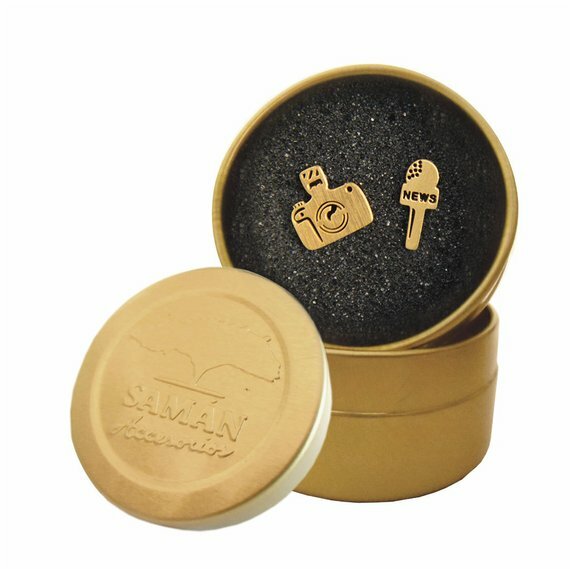 A jewelry box can hold the earrings (or cufflinks) and pay tribute to female journalists daily. Women on this handmade box include Nancy Hicks Maynard, Ethel Payne, Ida Tarbell, Gwen Ifill, Connie Chung, Mary McGrory, Minnie Two Shoes and Ida B. Wells. Proceeds from the sale of the box will be donated to the Committee to Protect Journalists, an independent nonprofit that promotes press freedom worldwide. What could be better than finding reporter’s notebooks in the stocking? Receiving a leather cover for them. Faith Works Leather Co. makes and sells them in dark and lighter brown on Etsy. They include slits to hold business cards and a pen and include an option of a monogram. Journalists love typewriters even if they’re no longer producing stories on them. Snap up a vintage model at the local Goodwill, an estate sale, on eBay or sites like Etsy. 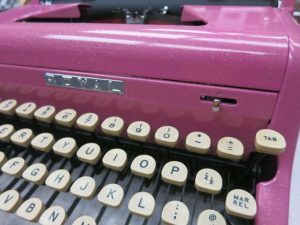 A 1934 Underwood is stunning in a home or work office but Karl Business Machines in central New Jersey can provide one full of color and sparkle. 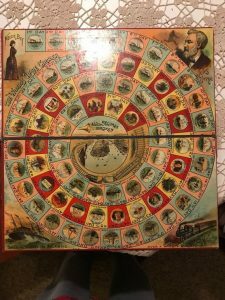 This vintage board game from 1890 is based on the adventures of Elizabeth Cochrane Seaman (AKA Nellie Bly), the American journalist who traveled around the globe in an attempt to break the record created by the fictional Phineas Fogg. 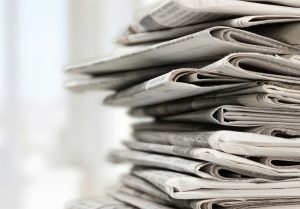 The future of journalism is dependent on subscribers who pay to get news from an outlet, whether it’s a local or national newspaper, a magazine, or public radio or television station. Several news organizations have Black Friday sales.